A payphone on the streets of New York rings and a passer-by tentatively picks it up. "Listen, I'm inviting you to come across the street," says the emotionless voice. "That's terrifying," the pedestrian answers, unknowingly turning down an invitation to appear on-stage with a renowned US comedian, in a stunt for Heineken. 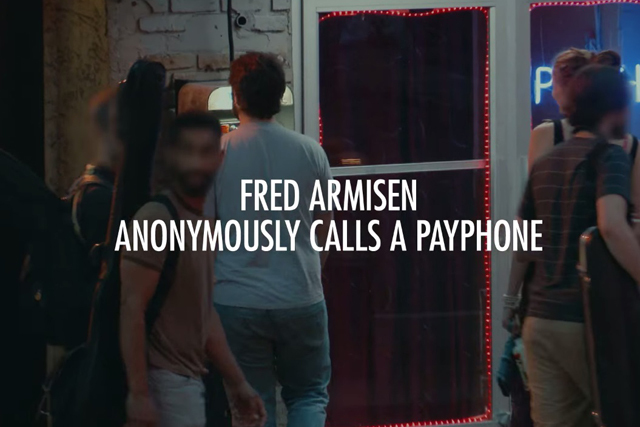 The beer brand has launched a teaser video featuring former ‘Saturday Night Live’ regular and actor Fred Armisen as the caller. The aptly named "Ringing Payphone" saw just a few people brave enough to not only stop and answer the phone, but to accept the invitation to "come across the street". Those who did were invited to appear on-stage with Armisen at the Comedy Cellar club. The stunt is a "social experiment" being conducted by Heineken as part of its "Cities of the World" campaign. Its aim is to break people out of the conventions of normal behaviour.